Wadi Rum. 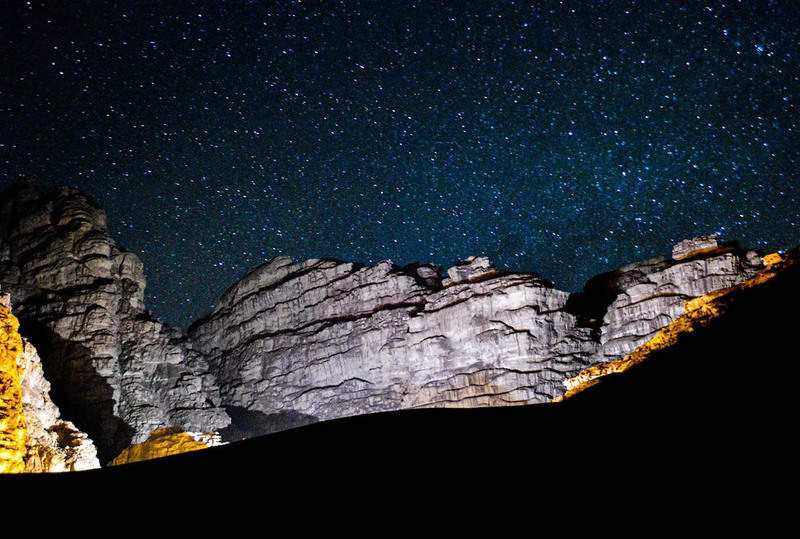 "The valley of the Moon"
Location: To the East of Aqaba (72 Km) "3 hours drive"
To the South of Amman (330 Km) "3 hours drive"
Normally some nights are very cold. 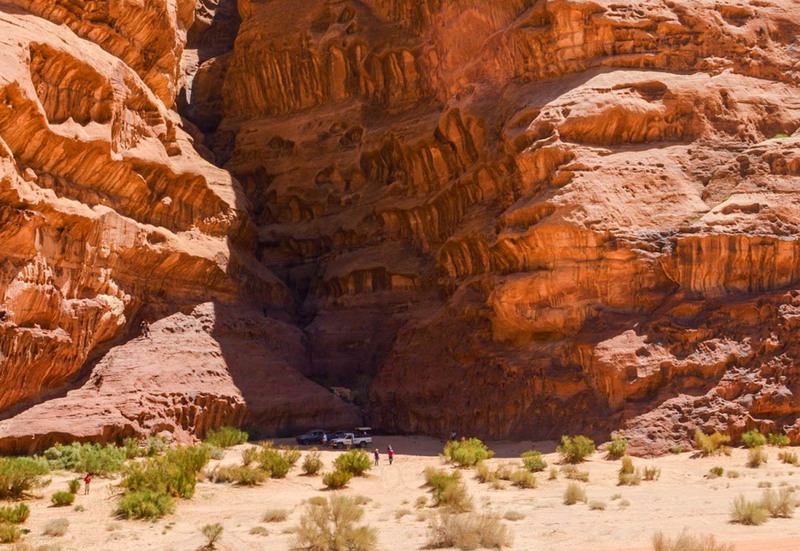 History: Wadi Rum has been inhabited by many human cultures since per historic times Thamudic- Nabateans leaving their evidences as rock paintings and Nabatean's temples is under resturaition. The Arab revolt 1917-1918 shining from Wadi Rum Al Huitat tribe and Odeh Abu Tayeh librated Aqaba thorugh Wadi Rum. T.E Lawrance wrote his book, 7 pillars of wisdom"
That made the kocks standing on basset butom in the Middle Sand Stone, shipping tops like corals. 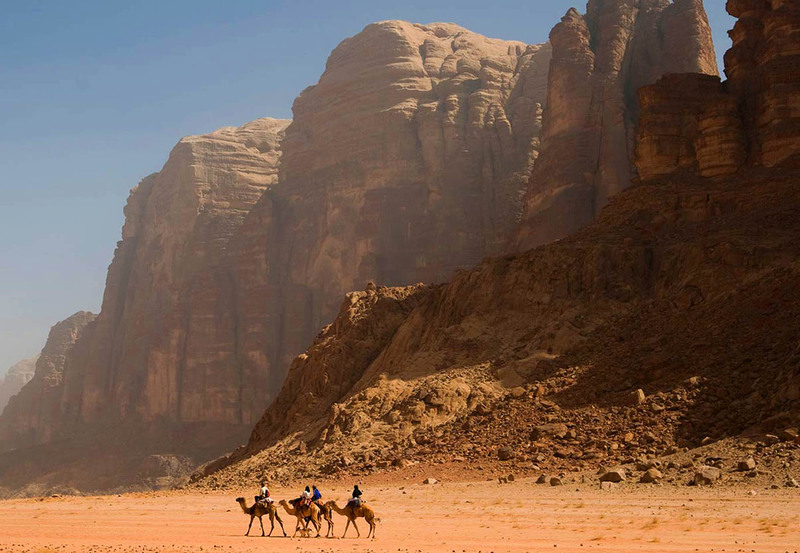 The highest elevation in Jordan is Jabal Um ad Dami (1851m) South Wadi Rim (30 Km). The 2nd hihest peack in Jordan is Jabal Rum (1751) meters. These high mountain and canyons colory sand duns make the place very special for Rock climing in 1952 Sheik Hamdan gelded long staff and Sylvia Brand ford. Since that Wadi Rum became an International sight for Rock Climbers, the first guide book "Treks and climb in Wadi Rum" by Tony Haward, was published in 1987. The Rest hours in the best place for camping and offering the climber and Tourist food and beverage. 1962- Lawrence of Arabia. David Leen. 2000- Red Planet "Wadi Rum the surface of Mars"
1998- Passion in the desert.